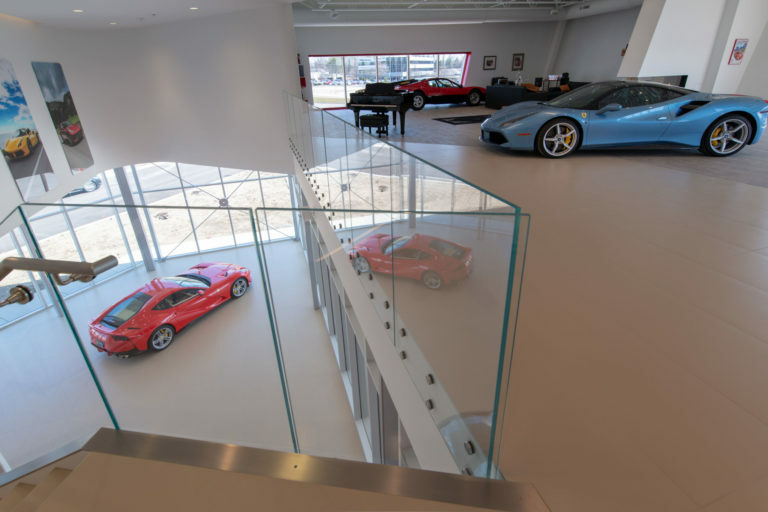 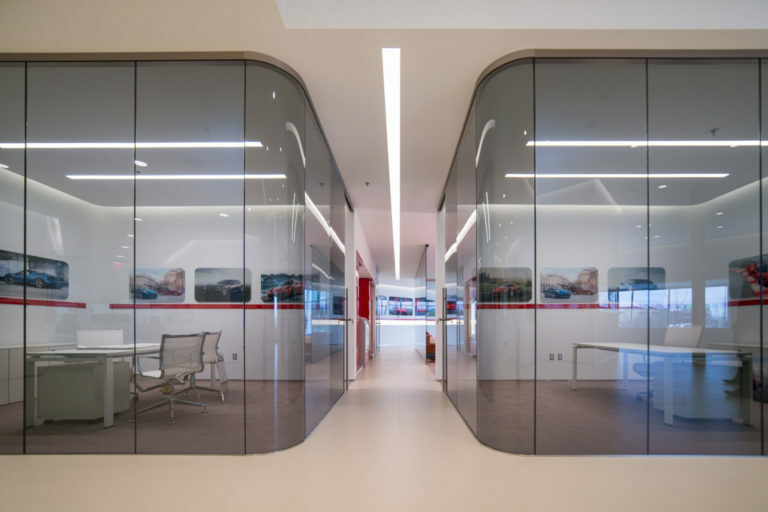 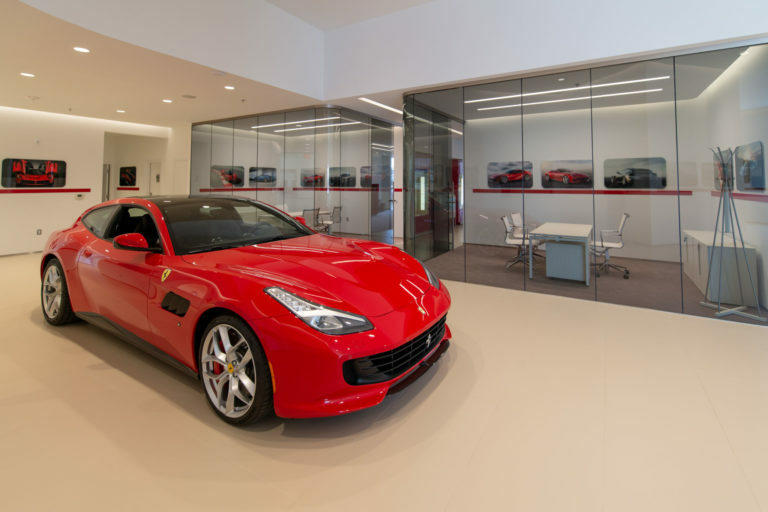 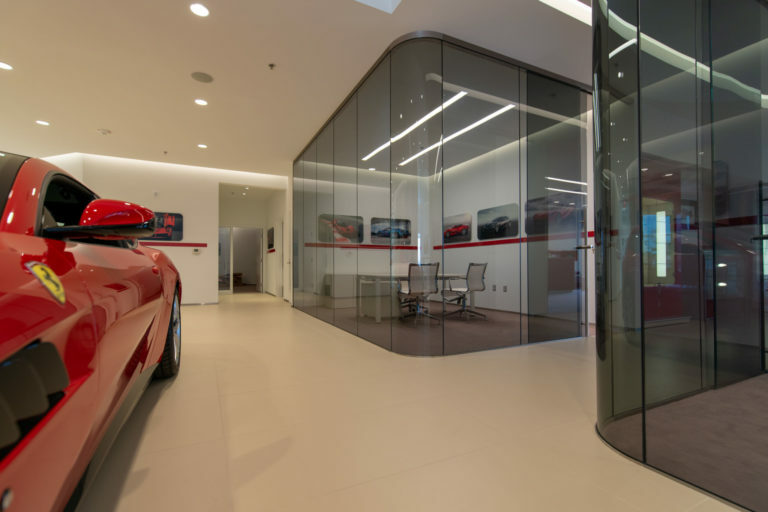 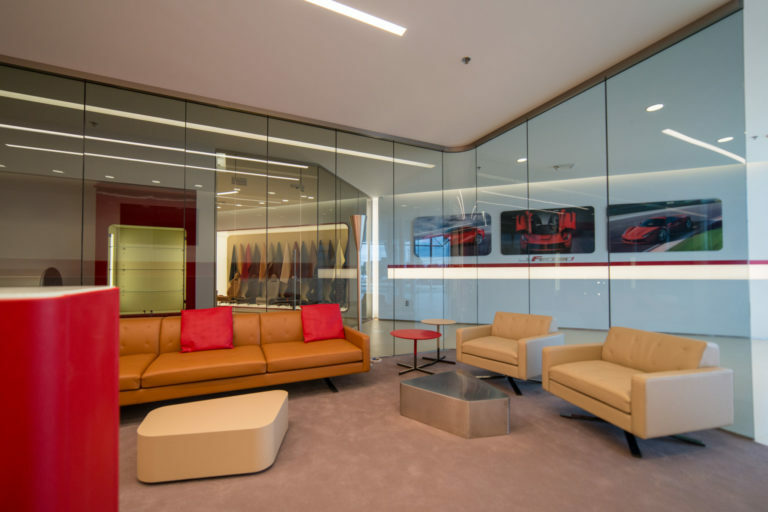 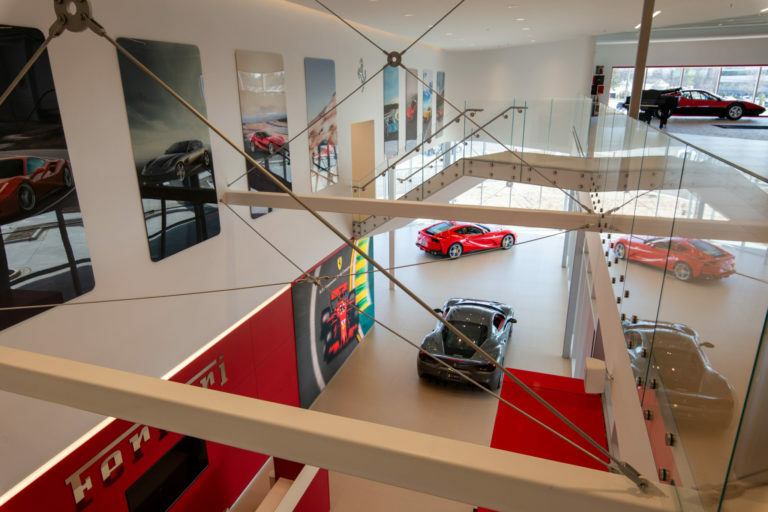 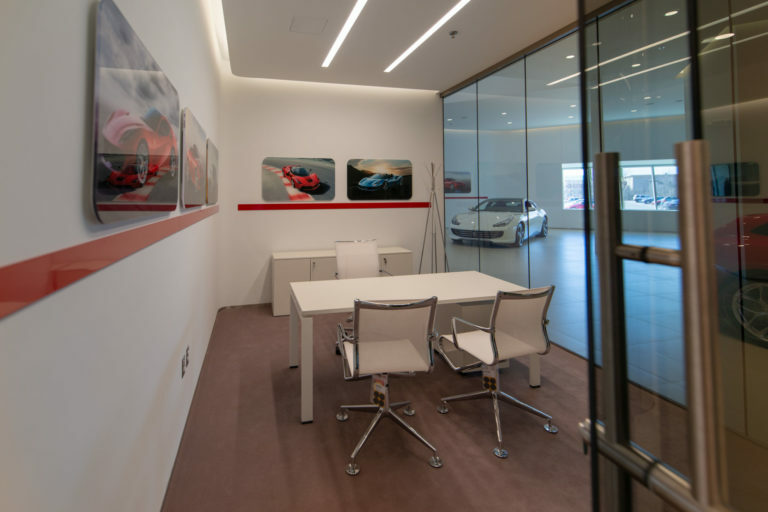 Glass + Mirror Craft was fortunate enough to partner up with Glasco Corp. to work on the new and only Ferrari dealership in Michigan. 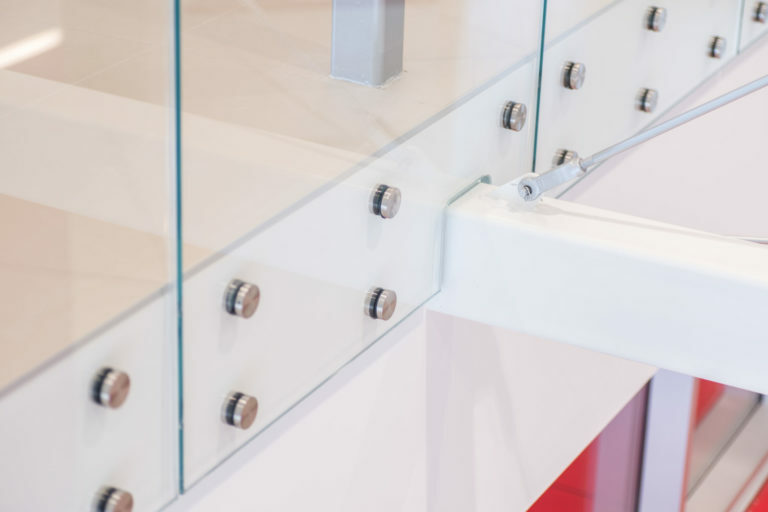 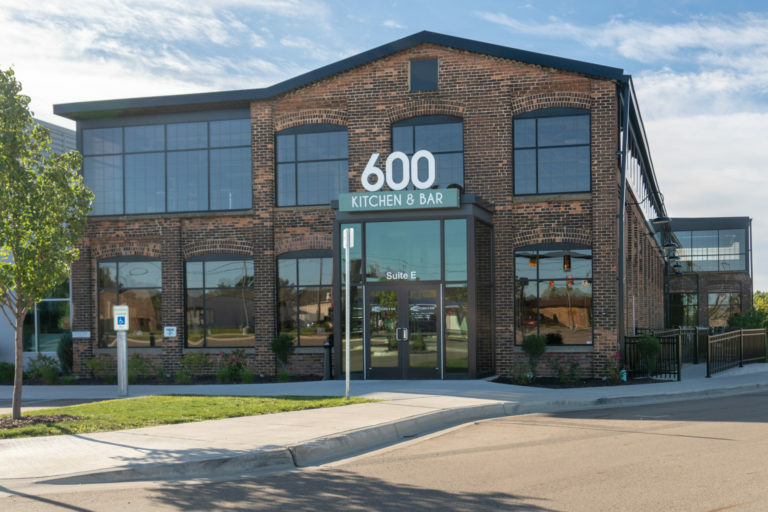 Working with the brand quality expectations, Glass + Mirror Craft was challenged to design, engineer and fabricate various products to exacting standards. 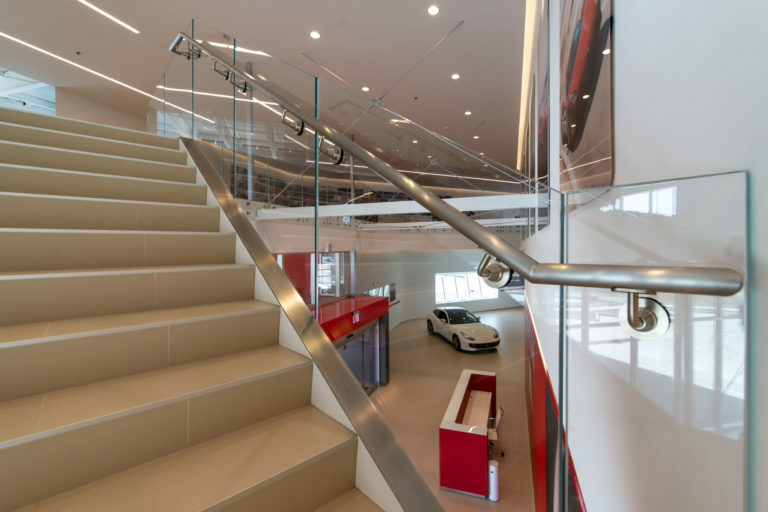 From hardware finish to glass color demands, everything had to be perfect. 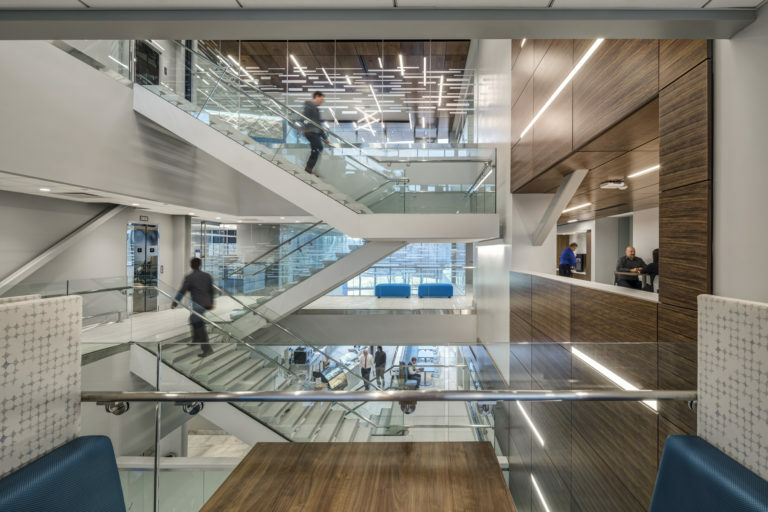 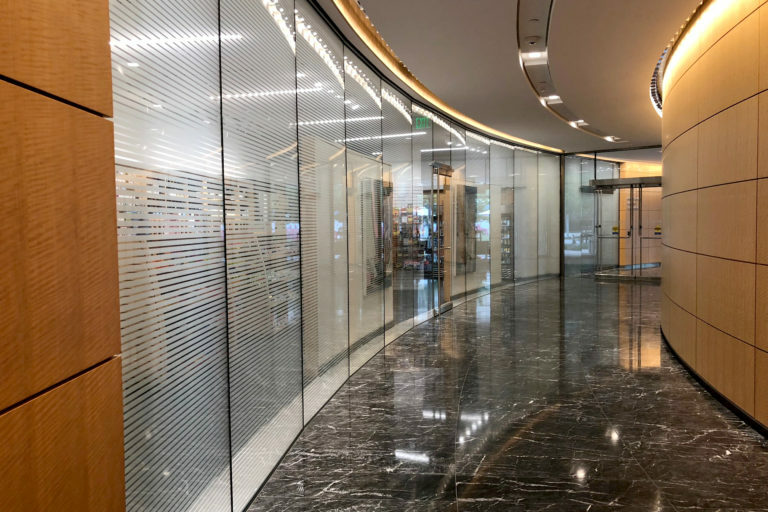 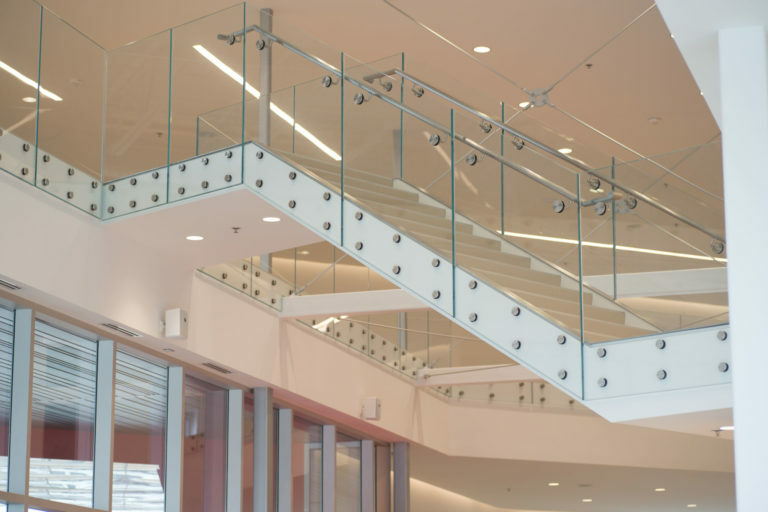 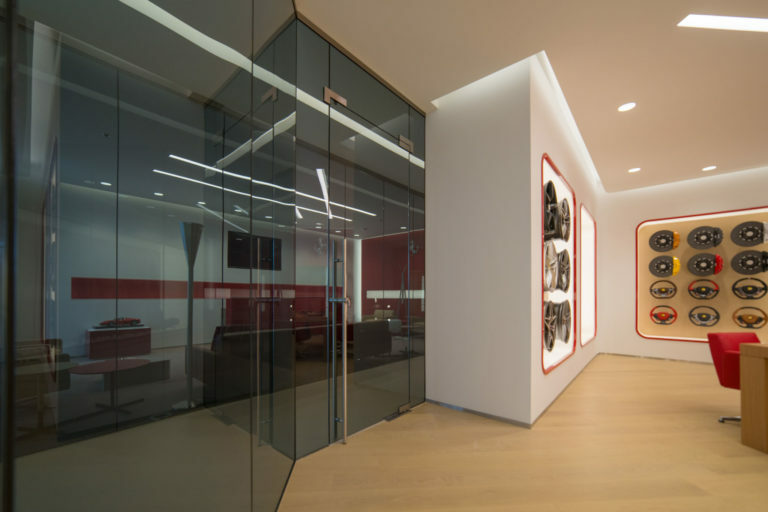 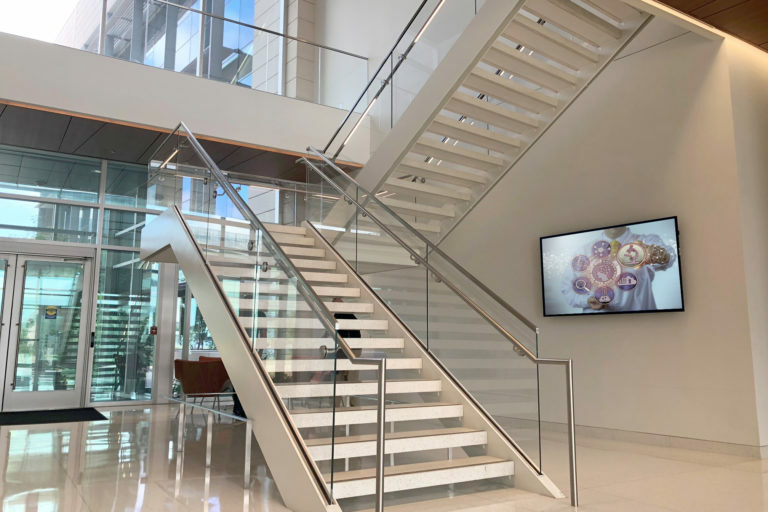 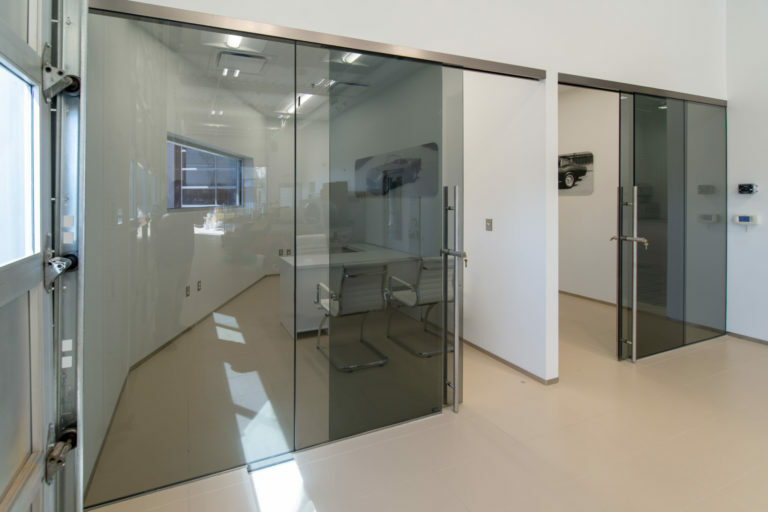 The completed custom tint laminated partition and entry systems, laminated guardrails, and custom metal components accents the space as envisioned.